What forms do I need ? Who pays into my pension and how much ? Calculating Employers and Employees pension contributions. When & where should I send my pension contribution and forms? What if I don’t earn what I thought I’d earn? How do I keep tabs on my pension contributions? Congratulations! You have successfully set yourself up and completed your first month of locuming. But, unfortunately, there is a little sting in the tail as you now need to invoice your practices and send your pension forms off. Here we explain what is involved, and try to demystify NHS pensions. There are no rules about when to invoice for work you have carried out, but most locums find it easier to do it at the end of the month. Bear in mind that your pension forms need to be submitted to your host Primary Care Organisation (PCO) fairly sharpish (in England, Wales & Northern Ireland within 10 weeks of completing the work that you are pensioning, and, everywhere, ideally before the 7th of the next month following payment). 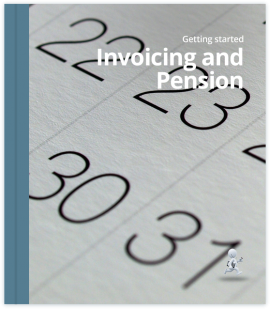 Invoicing and pensions are so interlinked that it is hard to discuss them as separate entities, so it may be worth reading the pensions section below before you attempt to invoice your practices. Name and address of the practice. Invoice date and a unique reference number. A break down of the services you are invoicing for and any expenses you may be reclaiming. If you are pensioning your work in England & Wales, you’ll need to add a separate item for employer’s pension contribution to collect it from the practice. 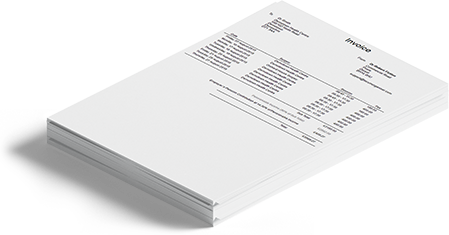 This is 14.38% of 90% of your invoice. You will then be forwarding this on to the PCO, along with your own contribution and pension forms (below). If you wish to be paid directly into your bank account, you can add your BACS details at the bottom, along with any terms and conditions you may have relating to late payment. If you’re pensioning your work, you’ll need to include a completed ‘GP Locum A’ form along with your invoice, more on that below. Locum Organiser uses the information from your diary to quickly create your invoices and pension A forms which you can email both together to the practice. You can do it on your phone if you need to. Locums are unusual in that despite being self-employed, they are still eligible to join the state run NHS pension scheme. You’re eligible for the scheme if you’re on the medical performers list and you undertake work directly for a recognised NHS employer such as an NHS GP practice, Out of Hours provider or the Primary Care Organisation (PCO) itself. The key word here is directly, if you work through a locum agency or through your own limited company your work will not be eligible for the scheme. If you work in a mixture of ways, the work performed directly for an NHS employer is still pensionable; it’s not ‘all or nothing’. In addition, you and your employer will have to complete the necessary forms and these must be received by the PCO in time for the work to remain eligible. Normal locum work requires “GP Locum A” and “GP Locum B”. The purpose of form A is simply to certify the work done in a given practice and the fees earned. The locum must fill out the first part, showing all the sessions they have completed for the practice. The practice must sign and stamp the second part and return it to the locum. The signature and stamp prove to the PCO that the pensionable work has been actually completed. It’s common, though not essential, to produce the form on a monthly basis and submit it to the practice along with an invoice. It’s important that the practice return the completed form promptly for the work to remain pensionable – so, even if the practice pays the invoice swiftly by BACS, it’s still important to chase up the forms. ‘Pension B’ contains the calculations for your employee pension contribution and, in England & Wales, the employers contributions received from the practices. It’s a monthly summary which records all the pensionable payments received in the given month. It’s compiled on the basis of payment date, rather than when the work was actually performed. So work done in March but paid for in April would correctly be recorded on April’s form – not the form for March. It’s necessarily that way, given that you can only pension work which has actually been paid for, but it’s perhaps a little counter-intuitive, given that form A is based on work date, and it catches lots of people out initially. 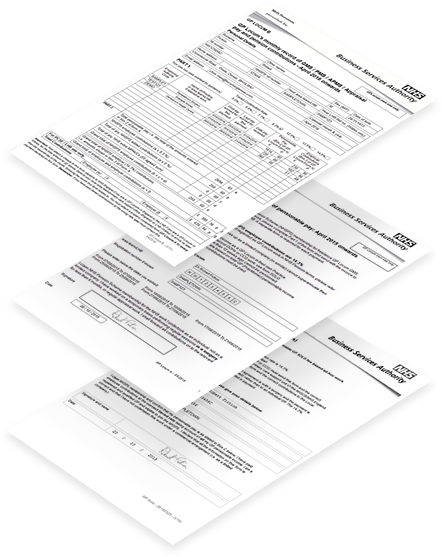 In addition to forms A & B, England, Wales and Northern Ireland use a third form, GP SOLO, for out of hours work. It’s common for the OOH provider to complete it and send it to the pensions office along with both their employer’s contribution and your employee pension contribution, which they deduct from your pay. In Scotland, Pension B is used for OOH work. Locum Organiser generates country specific Locum A, B and GP SOLO forms with all the calculations done for you. There are three separate schemes in the UK. The principles are the broadly the same but they are administered by different national bodies and have subtly different forms and rules. All have the forms you will need along with helpful completion notes on their websites. The ‘locum sections’ of each are below. There are two parts to a GP Locum’s pension – the employee’s contribution, which you pay as a locum, and the employer’s contribution. Who pays the employer’s contribution depends on where you live. In Scotland and Northern Ireland, these are still paid by the PCO where you are registered on the performers list. This makes life simpler for the locum. In England & Wales, the GP practices themselves have been responsible for paying the employer’s contributions since 2013. But as a locum, you are responsible for collecting them from the practices and forwarding them on to NHS England, via the Area Team, along with your own contributions as an employee. The first step is to calculate your pensionable pay. This is simply 90% of your earnings. The remaining 10% is a fixed allowance for expenses which are deemed to be unpensionable. It doesn’t matter what your expenses actually were, for pension purposes, they are always 10%. From there, employer’s contributions are also fairly simple, but they vary by country. In Scotland & Northern Ireland, you won’t have to worry too much about the procedures of employer’s contributions, as these are taken care of by the boards. In England and Wales, you must add the employer’s contribution due in respect of your work to your invoices in order to collect it from the practice. It should be a separate item and never lumped in with your fee as the two will have a different tax treatment – you’ll pay tax on your fee but not on the employer’s contributions. Also, the practice will insist on separate items for their own accounts. Where the work is eligible, a practice is legally obliged to pay the employers contributions. Similarly, the locum is obliged to pass these on to the PCO. A locum who intends to pension their work and collects employers contributions from the practice must return them if, for any reason, the work does not get pensioned (usually because the paperwork isn’t done on time). NHS BSA recommend in the completion notes for form B to let the employer know from the outset that you’ll be pensioning your work so they are aware of their liabilities. This is a little more complex and the percentage of your pensionable pay you’re required to contribute, often known as your ‘tiered rate’, varies according to your earnings as well as where you live. The tiered rates and the bands are due to remain unchanged until 2019. Because actual pensionable earnings are not known until year end the tiered rate is provisional at the start of Scheme year and is reviewed at year end. Unlike other Scheme members the tiered contribution rates for Practitioners and non-GP Providers are based on their total ‘in year’ NHS pensionable income; i.e. 2015/16 Scheme contribution rates are based on total 2015/16 certified pensionable income. i.e. a part time GP does not have their pensionable pay converted to a full time equivalent. A GP Scheme member must take account of all their NHS GP income (i.e. Practice + + OOHs + CCG) when setting their tiered rate. For example, if the total GP pensionable income is £130,000(Practice based income of £120,000 + CCG income of £5,000 + OOHs income of £5,000) their tiered rate across all their NHS GP pensionable income is 14.5%. For Practitioners and non-GP Providers who are members of the 1995 or 2008 Section their tiered rate (in a specific Scheme year) is based on their aggregated actual pensionable income in that year. For Practitioners and non-GP Providers who are members of the 2015 Scheme their tiered rate (in a specific Scheme year) is based on their annualised pensionable earnings in that year if they do not have continuous 2015 Scheme membership during the year. If they do have continuous 2015 Scheme membership their annualised and actual pensionable earnings are the same for the purposes of setting the tiered rate. There are now some useful examples in the completion notes for Pension B which help determine whether pensionable earnings should be annualised. While the tiered rates themselves will remain constant to March 2019, the bands will be adjusted for inflation each year in April. The rules for calculating a GP’s total pensionable income and tiered rate are the same as for England & Wales and, similarly, both bands and tiers are fixed to March 2019. The normal procedure is – towards the end of the month, you would gather up all the form A’s received back from your practices (duly signed and stamped), fill out a Form B to document the payments on the form A’s and calculate the total pension contribution required. In England & Wales the total will be comprised of your (employee) pension contribution and the employers contributions which you’re just forwarding on (which happily will be at least half of the rather large total !). In Scotland and Northern Ireland, the form will contain only your (employee) contributions. You then send all the forms, and a cheque for the grand total to the PCO – in theory, by the 7th of the next month after that in which the work was paid, so our April form B would have to be in by 7th May. Any later, and technically the work may not be pensionable, though, in practice, the PCO’s are usually more forgiving than this. It is essential that every payment listed on the Form B is accompanied by a corresponding form A, signed and stamped by the practice. Your pension contribution may be rejected and your forms returned if this is not the case. If you work in several practices, filling out a Form A for each one can be time consuming. Having them filled out automatically speeds things up no end. So, where do the forms go? PSCE are introducing a new web-based submission service for GP payments and pensions administration and queries from 20th December 2017. Scroll down to the enquiries form and select either ‘GP payments’ or ‘GP pensions’ as the enquiry type and you will be directed to the online form where you can submit your form/query. From 20th December 2017, the email addresses pcse.gp-pensions@nhs.net and pcse.gp-payments@nhs.net will no longer be monitored, and all forms and queries submitted electronically must be via the online form. Primary Care Support England, PO Box 350, Darlington, DL1 9QN. BACS Payments & Unique Identifying Reference. If you are a Locum in England you can submit your payments by BACS. This reference indicates that you are Dr X and your membership number is 12345678 submitting your Locum form for April 2017. Please generate the Unique Identifying Reference (UIR) number on Form B and copy this UIR to the corresponding Form As. If your paperwork and BACS payment do not include the unique identifying reference then your pension record will not be credited with this work. If you do not have an NHS.net account then you must submit your paperwork via post to: Primary Care Support England, PO Box 350, Darlington, DL1 9QN. You must mark the envelope ‘Locum Payments’. If your Locum forms do not include your Unique Identifying reference then the work will not be credited to your pension record. Even if you do not have an NHS.net email account you can still pay your contributions by BACS but you must remember to include your Unique Identifying reference or the work will not be credited to your pension record. The bank account details you require can be obtained by calling PCSE on 0333 014 2884. In England make your cheque payable to NHS England. In Wales make your cheque payable to the LHB. which address is helpfully printed on the NI form B ! What if I don’t earn what I thought I’d earn? I will have paid the wrong amount. If your actual total GP earnings for the year mean you should have contributed at a different tiered rate, you’ll either have to make up the shortfall or you’ll receive a refund accordingly. A GP who is solely a freelance GP locum (i.e. has no other GP posts) will have to reassess their tiered contribution rate at year end. As a GP locum, the onus is on you to contact the PCO to correct your contributions if, with the benefit of hindsight, they were wrong. Some locums like to ‘aim high’ on the grounds that it’s better to receive a refund at the end of the year than to have to make an extra, perhaps unexpected, contribution. Some locums keep a careful eye on their total pensionable income during the year and simply stop doing pensionable work if it looks like they will exceed their tier. They may switch to agency work or work though a limited company to keep on earning. Proper financial advice is recommended wherever pension planning decisions are to be made. If you have contributed to the NHS BSA pension scheme, you can apply on-line to view your ‘Total Reward Statement’, (TRS) which is essentially a break down of what your pension has amounted to. You will have to register for an activation code to be sent to you in the post, which can take up to a week. You can then activate your account on line and view your statement. With Locum Organiser you can log all of your pension contributions as you go, so that you can see what you have paid over time at a glance. It seems daunting at first. Some of it might be more complex than it need be. If you keep on top of it and send your forms off at the end of each month – it does all tick along OK. Scheme rule changes have made things difficult in the past but there are now none planned till 2019. Clearly, having the forms generated automatically helps you stay organised, but it’s also necessary to chase up any tardy practices to ensure payments and forms A are received within the 10 week window (Eng, Wales, NI). If your forms are too late and your contributions are consequently rejected, you must return any employer’s contributions to the practice, which is a pain. Some choose not to be in the NHS Pensions Scheme and there may be sound reasons for this – proper financial advice is always required, but don’t let the admin alone put you off if you decide you would like to take advantage of the NHS Scheme. The hardest part is getting started. We’re here to help. You are not alone as a locum. Stay connected and use each other for help.